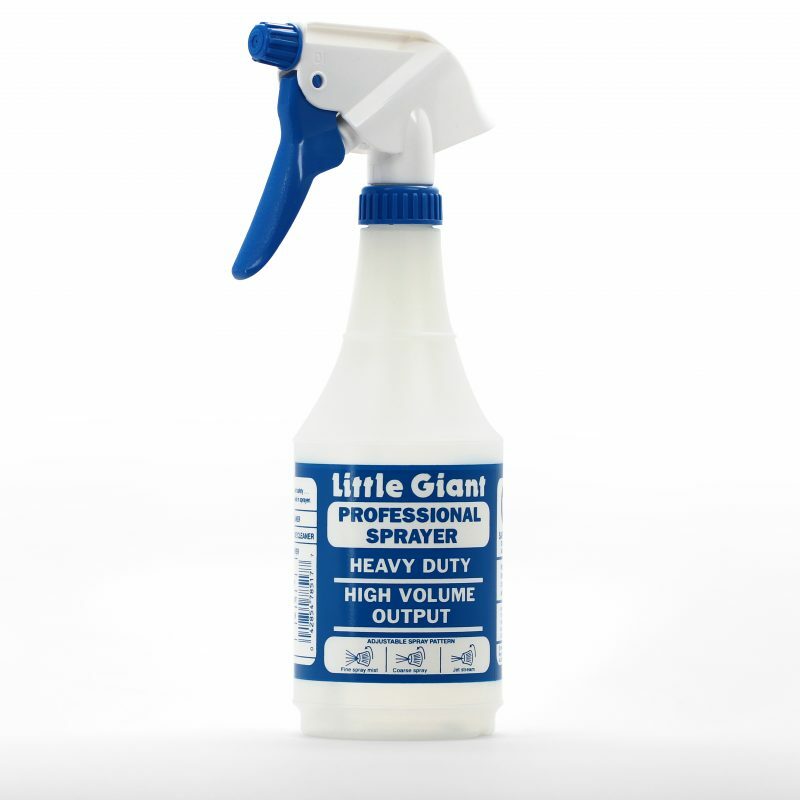 Delta’s 24 oz Little Giant Sprayer is a convenient and versatile powerhouse. The high output sprayer dispenses almost three times the output of standard sprayers. The heavy duty construction makes this a favorite to tackle tough jobs. The 24 oz bottle is a flexible and convenient size for ease of handling. The Little Giant bottle has check off grids and graduation scales for identifying and measuring contents. Dimensions: 11" x 5" x 3.5"
Carton Dimensions (inches): 19" x 10" x 8.25"
Pallet Dimensions (inches): 40" x 48" x 45.25"